Colloquial Arabic (Levantine) offers you a step-by-step approach to the Arabic spoken in Jordan, Syria, Lebanon and Palestine. Levantine Arabic is widely recognized as one of the major languages of Arabic radio and television. 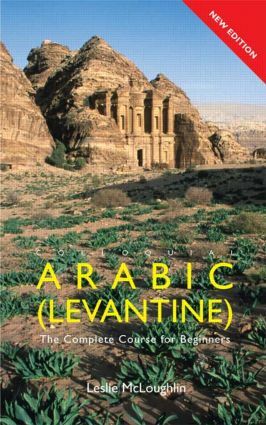 Specially written by an international authority on teaching Arabic as a foreign language, Colloquial Arabic (Levantine) is the ideal course for self-study or class use and requires no previous knowledge of the language.